Jens Schweikhardt informed me about the following (I roughly translated along his email), thanks for letting me know! 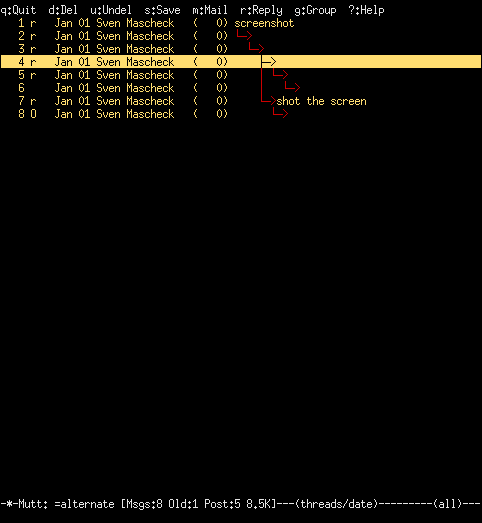 so that the "Main Options" menu shows new entries "XHTML Screen Dump" and "SVG Screen Dump". CSI Pm i  Media Copy (MC). Ps = 0  -> Print screen (default). Ps = 4  -> Turn off printer controller mode. Ps = 5  -> Turn on printer controller mode. 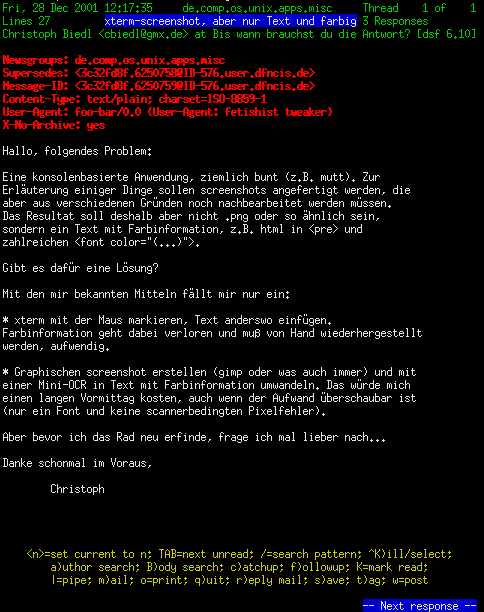 Ps = 1  0  -> HTML screen dump. Ps = 1  1  -> SVG screen dump. That makes it a lot easier indeed. (At the time of this writing  a terminalemulator-independent solution, using OCR with perl's Image::Magick, can be found at Christoph Biedl's page. But here is a solution converting direct output from the print action of Thomas Dickey's xterm, i.e., the XFree86 xterm..
with "replacement" being a command in your $PATH that redirects its input to a file ("lpr" is the default command). This perl script, for example, converting the print-output to HTML. See end of this page for runtime options. mutt(1) and its threading, using the "alternate linedrawing character set". Note: See below for how to display line drawing characters. cut&paste from these screenshots in a browser won't give useful results usually. But saving the page "as text" to disk will work fine. 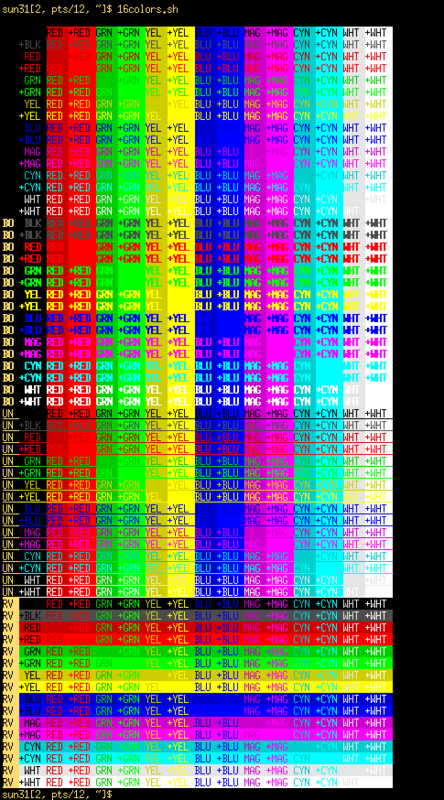 The PNG screenshots below (provided for completeness) show the original xterm colors. If you run a pseudo color visual, pay attention that they're available and that your browser can access them (e,g. do not start netscape(1) with "-install", etc, in case). tin (modified 2), test with "<table cellspacing=6>". This illustrates opera's weakness: in contrast to the above, this one suprisingly renders fine here. In some browsers (netscape 4.7, early mozillas) span tags are rendered markedly faster. But in some browsers, minimal variations of the line length are visible. Configure e.g. (Sony-)"Fixed"(-Misc). as fixed-width (or probably monospaced) font in your browser: Size 10 is fine. A small screen shot (gif) while using a proper fixed-width font.